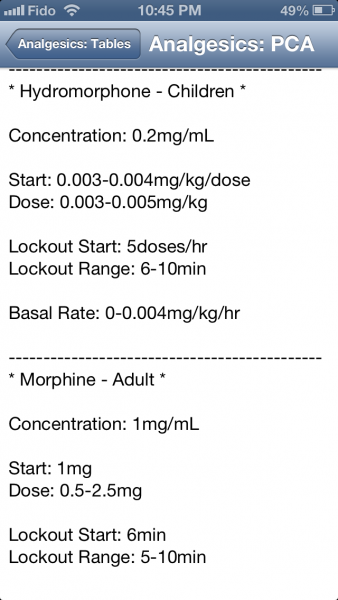 To evaluate Pain Guide app’s utility in pain management. 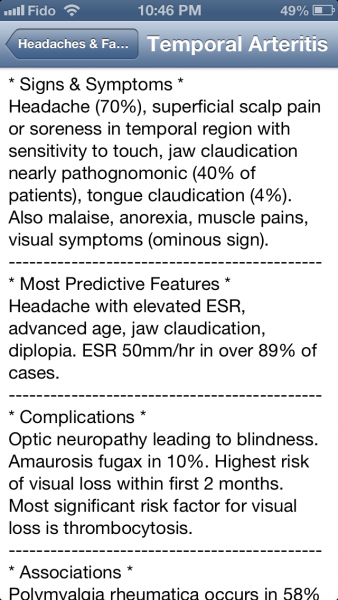 Pain is a common reason patients present for medical care. 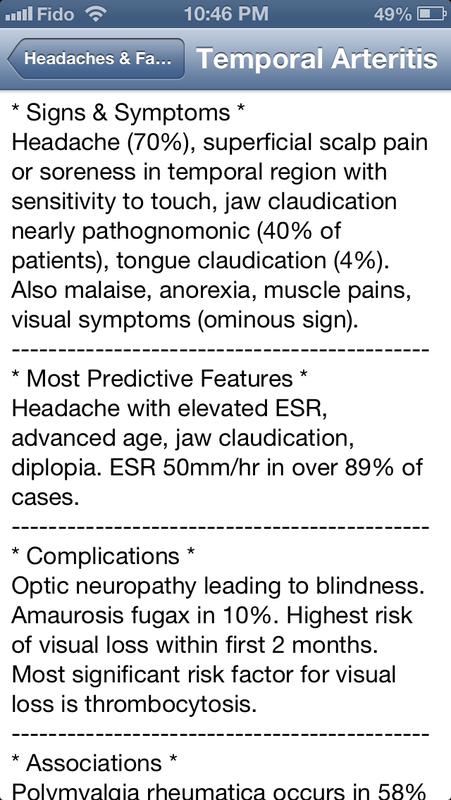 Because pain of different types can originate from multiple etiologies, management can be as much an art as it is a science. 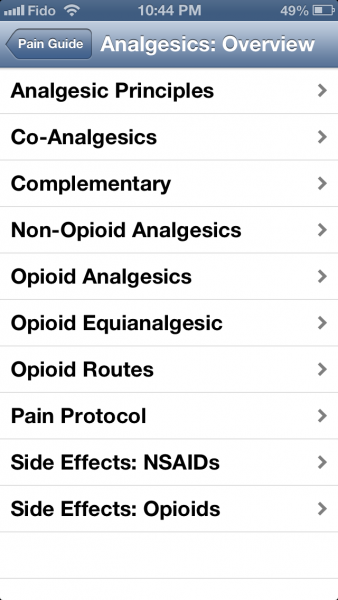 Pain Guide: Pain Management Quick Reference is a universal iOS app designed to help healthcare providers in this undertaking. 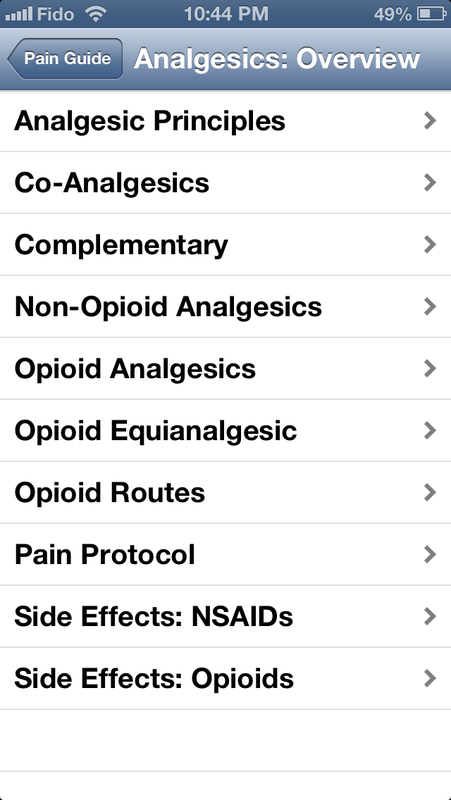 Pain Guide’s content is quite broad, covering topics from different types of analgesics, to techniques used in pain management. The user interface consists of a number of options that lead to a set of notes covering a number of topics. Unfortunately, the notes are very plain. Different sections are only separated by dotted lines, and there is no way to search for or jump quickly between topics, which makes navigation a bit cumbersome. The content is fairly broad, covering a wide variety of topics related to pain management. The app is thankfully optimized for both iPhone 5 and iPad displays. 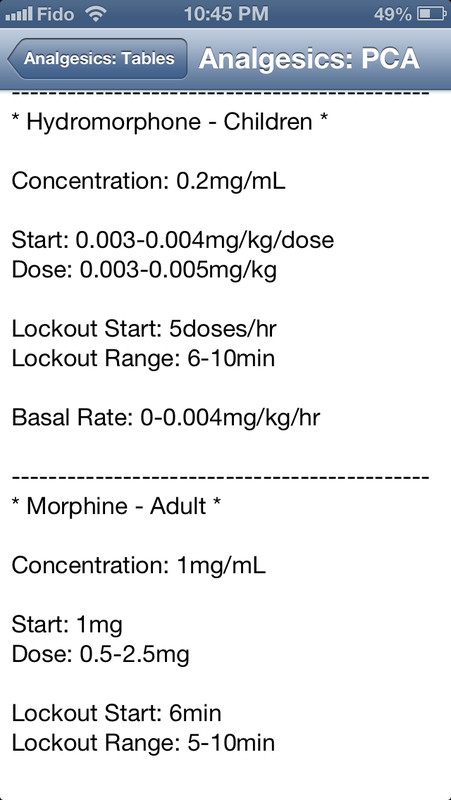 Pain Guide provides useful information, but unfortunately has a very dated user interface. It feels very much like a set of notes that was split into sections and put back together into an app. It would benefit greatly from the addition of multimedia and easier ways of searching for information. This difficulty in navigating information limits its utility as a point-of-care tool; it may be better utilized instead as study material. 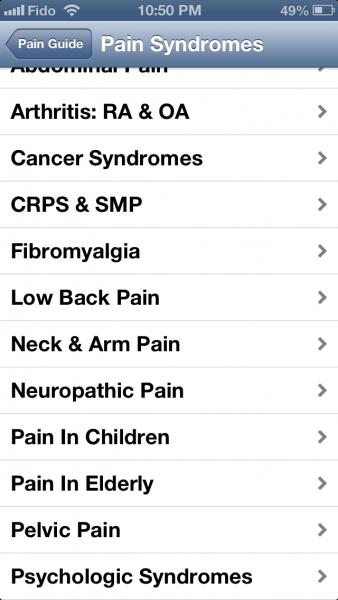 Pain Guide covers a large number of topics, but is hampered by its dated user interface. 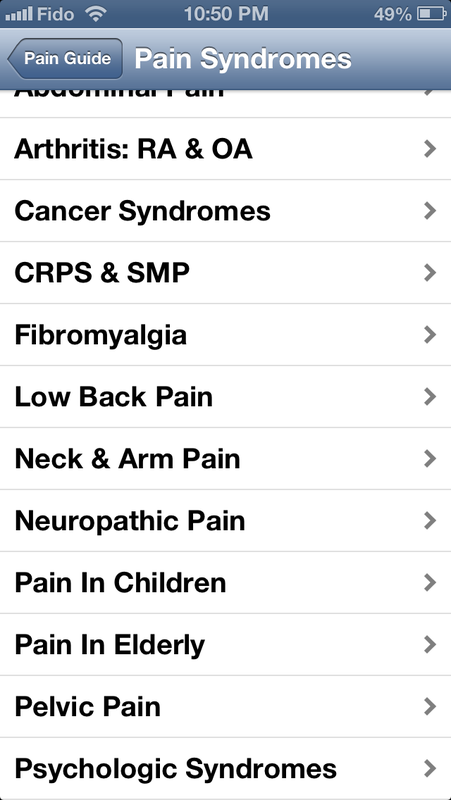 A link to the download site for reviewed apps would be much appreciated by this regular iMedicalApps reader.